Jason Michael Grilli (born November 11, 1976) is an American professional baseball pitcher who plays for the Atlanta Braves of Major League Baseball (MLB). Taken as the fourth overall selection of the 1997 MLB Draft by the San Francisco Giants, Grilli was one of the top starting pitcher prospects in all of the minor leagues, ranked 54th in 1998 and 44th in 1999. The Giants traded him to the Florida Marlins in 1999, for whom he debuted on May 11, 2000. However, it was not until 2011 that Grilli's career took off as a relief pitcher with the Pittsburgh Pirates. That year, he carried a 2.48 earned run average (ERA) and 10.2 strikeouts per nine innings (K/9) rate in 32 innings pitched (IP), and further improved in 2012, when his strikeout rate climbed to 13.8. In 2013, Grilli made his first All-Star team and became Pittsburgh’s closer at the age of 36. From 2011–14, he compiled a 3.09 ERA with 11.9 K/9, 3.3 BB/9 and a 34.2 percent ground-ball rate in 195 1⁄3 IP. He has also pitched for the Chicago White Sox, Detroit Tigers, Colorado Rockies, Texas Rangers and Los Angeles Angels of Anaheim. Following his high school career at Charles W. Baker High School in Baldwinsville, New York, Grilli was drafted in the 24th round of the 1994 Major League Baseball Draft by the New York Yankees, but chose not to sign. Instead, he opted to play college baseball at Seton Hall University, which he attended from 1995–1997. While at Seton Hall, Grilli once struck out 18 batters in a game to break Charles Nagy's Big East record. Grilli was drafted in the first round, fourth overall, of the 1997 Major League Baseball Draft by the San Francisco Giants. Grilli earned high reviews from scouts before the draft, who noted his good delivery, size and bloodlines. Milwaukee Brewers scout Russ Bove wrote that Grilli reminded him of Jim Palmer. As a high draft pick, Grilli was immediately considered to be a top prospect. Baseball America ranked him as the #54 prospect in 1998 and the #44 prospect in 1999. Grilli began his professional career in |1998 with the Double-A Shreveport Captains of the Texas League and the Triple-A Fresno Grizzlies of the Pacific Coast League. In 21 games for the Captains, Grilli went 7–10 with a 3.79 ERA with 100 strikeouts in 123⅓ innings pitched. With the Grizzlies Grilli went 2–3 with a 5.14 ERA in eight games, all starts. Grilli was named a Texas League All-Star for the 1998 season. In 1999, Grilli was a key component of a midseason trade that brought Liván Hernández to the San Francisco Giants, and sent Grilli and pitcher Nate Bump to the Florida Marlins. Grilli made his major-league debut on May 11, 2000. Grilli missed the entire 2002 minor-league season following Tommy John surgery on his pitching elbow. He returned in 2003, pitching most of the season with the AAA Albuquerque Isotopes. Grilli was drafted by the Tadahito Iguchi, Grilli was designated for assignment and eventually released. In 2005, he signed a minor league contract with the Detroit Tigers. Tigers scouts and GM Dave Dombrowski were familiar with Grilli's abilities, having previously traded for him while running the Marlins in 1999. After helping the Triple-A affiliate Toledo Mud Hens to the International League Championship (he clinched the deciding game), Grilli joined the parent club for a brief late-season audition. Grilli pitched for Team Italy in the 2006 World Baseball Classic. He also had a good spring training and earned a spot in the Tigers bullpen as a long reliever, leading to his first extended stint in the majors. During the 2006 season, Grilli went 2-3 with a 4.21 ERA. He helped the Tigers to the 2006 World Series where they lost to the St. Louis Cardinals. In 2007, Grilli posted career highs in almost every category, including games (57), innings (79⅔), strikeouts (62), wins (5), and holds (11). However, Grilli heard boos at Comerica Park during the season, mostly due to his home ERA of 7.96. He was much more effective away from home, posting a 1.91 ERA in road games. Tigers manager Jim Leyland defended Grilli: "I like Grilli because he's got a resilient arm. ... There's a lot to be said for that." It was during his time with the Tigers that Grilli decided to abandon his big-breaking curveball in favor of a slider. The move coincided with a transition from starting games in the minor leagues to relief pitching in the major leagues. Tigers teammate Jeremy Bonderman, known for throwing a very effective slider, helped Grilli tweak his grip and delivery. "I knew I could throw a slider because it's just a minor adjustment on how you release the ball," Grilli said." Grilli during his tenure with the Colorado Rockies in 2008. On April 30, 2008, Grilli was traded to the Colorado Rockies for minor-league relief pitcher Zachary Simons. This move was made to clear a roster spot for incoming reliever Francisco Cruceta. In January 2009, Grilli announced that he would again pitch for Team Italy in the 2009 World Baseball Classic. On June 5, 2009, Grilli was designated for assignment by the Rockies. On June 9, 2009, Grilli was acquired by the Texas Rangers for cash considerations. In October 2009, Grilli was granted free agency. On December 2, 2009, Grilli signed a minor-league contract with the Cleveland Indians with an invitation to spring training. Grilli suffered a severe knee injury in spring training while running sprints and would later undergo surgery for a torn quadriceps muscle. The injury and rehabilitation caused him to miss the entire 2010 season. Grilli filed for free agency on November 6, 2010. On January 30, 2011, Grilli signed a minor-league contract with the Philadelphia Phillies. He pitched for the Triple-A Lehigh Valley IronPigs, posting a 1.93 ERA in 32 1/3 innings, before being released on July 20. 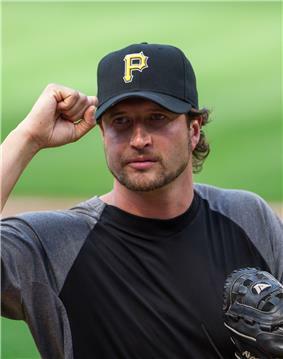 Grilli signed a minor-league contract with the Pittsburgh Pirates on July 21, 2011, and spent the rest of the season on the Pirates major-league roster. The signing reunited Grilli with Pirates manager Clint Hurdle, who had been Grilli's manager with the Rockies several years earlier. Grilli played in 64 games for the Pirates in the 2012 season, recording a 1–6 record and 2.91 ERA. His 32 holds were second-best in the National League, and his 13.8 strikeouts per nine innings was the fourth-best among NL relievers with 40 or more innings pitched. Grilli's fastball averaged 93.6 mph that season, his top velocity since 2007. On December 12, 2012, the Pirates announced that they had re-signed Grilli to a two-year contract, the first multi-year deal of his career. Several sportswriters noted that Grilli turned down more lucrative offers from other teams to remain with the Pirates. Just two weeks later, the Pirates made a major trade by sending incumbent closer Joel Hanrahan along with infielder Brock Holt to the Boston Red Sox for infielder Ivan De Jesus, relief pitcher Mark Melancon, relief pitcher Stolmy Pimentel and outfielder Jerry Sands. The move opened up the Pirates closer role for the upcoming season, with Grilli as the presumed favorite. Grilli again pitched for Team Italy in the 2013 World Baseball Classic. Grilli opened the 2013 season in his new role as the Pirates closer. before 2013, he had accumulated five career saves spanning 10 seasons. After the end of April in the 2013 season, Grilli was named the DHL Delivery Man of the Month. He finished April 2013 with 12 game appearances, a superb 0.82 ERA and 10 saves in 10 save opportunities through 11.0 innings of work. Grilli became just the second Pittsburgh Pirates pitcher to save 10 games in the month of April since Mike Williams in 2002. Jason Grilli tied Jim Johnson of the Baltimore Orioles, Sergio Romo of the San Francisco Giants and Mariano Rivera of the New York Yankees for the most saves in the MLB that month. Grilli was named to the 2013 National League All-Star team, and pitched the ninth inning of the 2013 MLB All-Star Game. After giving up a leadoff triple to Prince Fielder, he retired the next three batters for a scoreless inning. On July 22, Grilli became the first Pirate since 1992 to be on the cover of Sports Illustrated; in that night's game, he injured his forearm and was placed on the 15-day DL, another victim of the magazine's cover jinx. His replacement at the closer position was Mark Melancon. Grilli was activated from the DL on September 3, resuming his role as closer. He helped the Pirates to the 2013 playoffs, the team's first postseason appearance since 1992. Grilli pitched a scoreless ninth inning in the Pirates win over the Cincinnati Reds in the 2013 National League Wild Card Game. He appeared in three games in the Pirates series loss to the St. Louis Cardinals in the 2013 National League Division Series. Grilli has not had a run charged against him in nine career playoff appearances spanning 6.1 innings. In his 54 appearances in 2013, Grilli went 0-2 with a 2.70 ERA going 33-35 in save opportunities, striking out 74 in 50 innings. On June 27, 2014, Grilli was traded to the Los Angeles Angels of Anaheim in exchange for relief pitcher Ernesto Frieri. On December 23, 2014, Grilli signed a two-year contract with the Atlanta Braves. Grilli's original intended role was to serve as Craig Kimbrel's setup man in the eighth inning of games. However, when Kimbrel was traded to the San Diego Padres on the day before opening day of the 2015 season, April 5, 2015, Grilli had to assume the closer's role. He had done well, earning 23 saves for the Braves in about half of the season. On July 11, 2015, in a game against the Colorado Rockies, Grilli was covering first base on a ground ball when he tripped and ruptured his left Achilles, causing him to miss the rest of the season. Grilli is the son of former major-league pitcher Steve Grilli, who pitched for parts of four seasons in the late 1970s, including three with the Detroit Tigers. Jason was born in the Detroit suburb of Royal Oak after his father's second season with the Tigers. His father is also known for being the losing pitcher for the Rochester Red Wings in the longest professional baseball game on June 23, 1981. Jason has worn number 49 in honor of his father, and the two still talk after every game in which Jason makes an appearance. Grilli and his wife, Danielle Hurt, welcomed their first child, in February 2008. Although the Pittsburgh Pirates traded him on June 27, 2014, Grilli and his wife decided to continue living in Pittsburgh all year round. In December that year, they purchased a home for $1,600,000 in the suburb of Pine Township. Nearly one year after the trade, Grilli made his first appearance back at PNC Park, as a member of the Atlanta Braves. There he revealed to the Pittsburgh media his intention to continue residing in Pittsburgh. ^ Adams, Steve (December 23, 2014). "Braves to sign Jason Grilli". MLB Trade Rumors. Retrieved December 23, 2014. ^ "Phillies Sign Grilli to Minor League Contract". MILB.com. February 1, 2011. Retrieved December 26, 2014. ^ "Marlins Send Ex-hero Hernandez To Giants". Chicago Tribune. July 25, 1999. ^ "White Sox take four in Rule 5". December 15, 2003. ^ "White Sox designate pitcher Jason Grilli for assignment". January 28, 2005. ^ Morosi, Jon Paul (February 29). "Tigers Jason Grilli always ready to pitch in; Leyland likes his resilient arm". ^ "Fans want to see Grilli put out fires; Reliever says numbers don't always tell story". ^ Brink, Bill (May 18, 2012). "Pirates notebook: Slider led to Grilli's big break - Pittsburgh Post-Gazette". Pittsburgh Post-Gazette. ^ "Tigers trade Jason Grilli to Colorado". ^ "RIGHT-HANDED PITCHER JASON GRILLI DESIGNATED FOR ASSIGNMENT; OUTFIELDER MATT MURTON OPTIONED TO TRIPLE-A COLORADO SPRINGS". MLB.com. June 5, 2009. Retrieved December 24, 2014. ^ "Rockies trade RHP Jason Grilli to Texas". June 9, 2009. ^ Zolecki, Todd. "Grilli, Phillies work out Minor League contract". MLB.com. Retrieved 20 July 2011. ^ Biertempfel, Rob. "Pirates close to picking up reliever Grilli". ^ Brink, Bill (July 21, 2011). "Pirates sign free agent pitcher Jason Grilli". ^ "Jason Grill". Baseball-Reference.com. Retrieved 2012-10-18. ^ "MLB Player Pitching Stats – As Reliever – 2012". ^ "Pirates sign free agent RHP Jason Grilli". December 12, 2012. ^ "Jason Grilli gets moment in spotlight during Fox broadcast of MLB All-Star Game". ^ Snyder, Matt (27 June 2014). "Pirates, Angels exchange Jason Grilli, Ernesto Frieri in trade". CBS Sports. Retrieved 27 June 2014. ^ "Angels acquire Grilli in trade with Pirates". ESPN.com. Associated Press. June 27, 2014. Retrieved June 28, 2014. ^ Bowman, Mark (December 23, 2014). "Braves reach agreement with veteran reliever Grilli". MLB.com. Retrieved December 24, 2014. ^ "Braves, reliever Jason Grilli agree". ESPN.com. December 23, 2014. Retrieved December 24, 2014. ^ "Steve Grilli Statistics". Baseball-Reference.com. Retrieved January 12, 2010.